regardless of the time they actually take. For services that do not, I charge £36 per hour and you only pay for the time used and never more. For fixed cost items I know how long it will take me and you'll always pay the same price! For larger jobs (2 or more days) then I can provide a free consultation for you. I'm experienced and I work as fast as possible without compromising quality so you'll always get a fair price from me. For jobs over £1,000 in value I take a 30% deposit before work commences and 70% upon successful completion. 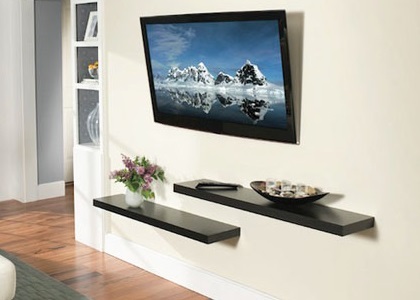 TV Wall Hanging has standard fixed pricing for all jobs. It's important to visit the Flat Screen TV Hanging page as this explains the various options you can choose whilst booking this service from me. Fixtures and fittings have standard pricing for all jobs and it's really easy to see how much I'll charge. The best way to have a look at my pricing is to visit my booking site.